Heritage members are committed to service. We believe the church is a community called to participate in God's mission in and for the world. We celebrate God's activity in the projects we undertake and support activities and attitudes that emphasize making a difference in our community and the world. Ezekiel CDC provides on-site training to minority firms to create affordable housing for city residents. In addition, Exekiel partners with Felmers Chaney minimum security correctional facility, allowing inmates to build skills and work experience needed for employment following release. We will be providing lunches for workers at meal sites and are exploring the abliity to help prepare and finish home sites. Divine Intervention is an overnight winter prayer vigil/warming room in the Bay View area that operates from November through March. We will be collecting needed items during the season (coats, papers products, etc) and supporting our members who volunteer as hosts at the prayer/warming room site. The Women’s Center provides free support and services to women and families affected by domestic violence, sexual assult and abuse. Services include emergency shelter for abused families, transitional living, counseling, child abuse prevention programming, legal advocacy and employment counseling. Heritage will be providing financial support and gifts for families at Christmas. Milwaukee Rising is a project of Common Ground working to restore the housing market in Milwaukee's Sherman Park neighborhood. This housing revitalization project is rehabilitating 100 foreclosed properties over four years and selling them to responsible owners. Heritage will be providing financial support. A ministry of Divine Intervention, S. O. S. serves the homeless community through shared meals every Friday April through November. Heritage will be planning, preparing and serving dinners and eating and interacting with the guests. Larry Under The Bridge is a food and encouragement ministry to the homeless in the Bay View area. Bagged dinners are delivered to strategic locations near campsites on Sundays and Monday evenings. Basic need supplies (water, socks, toilet paper, etc) are also provided. This ministry serves 10-30 people per week. Heritage will be preparing lunches and collecting other needed items. The ASLC provides an integrated arts approach to literacy by combining fine arts expression and science to provide a hands on experience for underserved kids in the central city and Milwaukee's south side. In addition to monetary support, Heritage will also be providing lunchtime meals and fellowship to campers the third week of August. Carroll partners with the people of Ribe in the areas of education, public health, church outreach, community life, and natural resource management. Our special worship services have provided enough financial resources to provide numerous water tanks in the Ribe area. This year's services helped with drilling a new well. 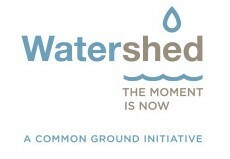 Watershed is an iniative of Common Ground working with the community to improve both water availability and quality in the Milwaukee area. Their goal is to provide effective solutions that do more than put a Band-Aid on the problem. Heritage will be providing financial support.